Kathy Carmichael receiving Hamish’s certificate from CCS Hon.Sec. Roger Johnson following Hamish’s funeral. Hamish contributed greatly to BCS during his 16 years of volunteering with the Computer Conservation Society (the CCS). His involvement with the CCS, the largest historical computer society in the world under the aegis of a BCS Specialist Group began in 1996 as Secretary where his efforts for BCS facilitated the group’s successful work and achievements. Hamish was also an Archivist for the CCS, first listed as such in the 2005 copy of, ‘Resurrection’, the CCS journal but he was quite possibly archiving before this date. He undertook the vast task of cataloguing and making additions to the International Computer Ltd (ICL) archive. The archive comprised of technical and product documentation, company records, film, and historical artefacts such as early punched card equipment. Hamish’s monumental job required knowledge of the products, ICL corporate and organisational culture, and limitless attention to detail. He achieved it with his knowledge and network of ICL ex-colleagues, professional insight and expertise along with his unfailing good humour, grace, studied application and stamina. 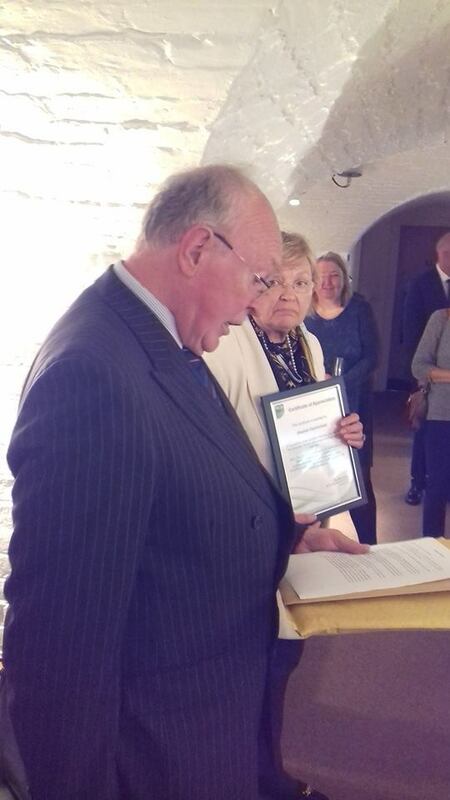 His hard work and sheer professionalism on behalf of BCS was acknowledged by, amongst others, the Science Museum and professional computer historians. Few people could have undertaken this immense task and, fewer still have delivered it to the high standard that Hamish did. His extensive contacts with the ex-ICL community also enabled him to add substantially to this collection. The index, which is unchanged since 2012 can be seen at sw.ccs.bcs.org/iclarch. Hamish also managed the concessionary scheme for CCS members subscribing to IEEE Annals of the History of Computing allowing CCS members to benefit from bulk order discounts to the journal for which individual, non-institutional subscription is ordinarily prohibitively expensive. He negotiated and was the signatory to the original Memorandum of Understanding with the IEEE in December 2001, from which date he managed the scheme, the distribution lists, finances and quarterly mailings of the journals shipped in bulk from the US. Hamish was with the CCS until 2012 when he returned to his native home, Scotland. He contributed significantly to the objects of BCS under its Royal Charter in terms of advancing knowledge and education of computing for the benefit of the public. His Certificate of Appreciation is well deserved owing to these tangible achievements and benefits to BCS as a result of his personal contribution during his involvement with the CCS Specialist Group. Sadly Hamish passed away before the certificate could be presented. But is has now been presented to his widow Kathy, who was often seen at Hamish’s side at CCS meetings.